First impressions count in the catering business. And especially in Michelin star restaurants out to give as good an impression as possible from the get-go, a goal that makes pristine drinking glasses as much a prerequisite as the cuisine served. Bar Agrikultur in Stockholm’s quirky Södermalm District has won its loyal following and a Michelin star for its approach to honoring in-season food, flavor, sustainability and community. While small with just 24 seats, the restaurant is known as one of the best in the Swedish capital and counts on water technology leader Bluewater to help it retain its reputation.. Ranking among the ‘best of the best’ for Bar Agrikultur includes ensuring the wine and other drinking glasses are pristinely cleaned in a sustainable, less staff intensive way. They achieve that by connecting a Bluewater Pro 400 water purifier to their commercial dishwasher in order to cut the time-intensive need to polish every single glass to remove post-wash blemishes. 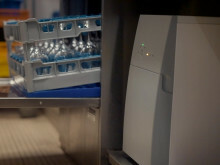 The compact Bluewater Pro harnesses unique next-generation SuperiorOsmosis™ reverse osmosis technology to feed contaminant-free water into a dishwasher to prevent the risk of a cloudy haze forming and cut the need for harsh detergents. Suitable also for crystal glassware, Bluewater Pro water ensures glasses do not have any lingering chemical residue or soap smells. “It’s very important for us to have clean glasses and in a fast-moving kitchen like ours we just don’t have the time or staff to polish the glasses. Happily, the absolutely pure water from the Bluewater purifier makes polishing unnecessary and even removes the thin water line we had after hanging the glasses in the rack,” said Stephanie Thern, Bar Agrikultur Somillier. She said Bluewater proved the perfect accompaniment for a restaurant dishwasher because it delivered water free of all blemish-causing contaminants, which reduced the need for harsh detergents as well as subsequent labor-intensive polishing. 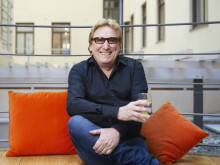 “Even the best dishwashers can leave a detergent residue on glasses that may affect the smell and taste of wine or water and cause bubbles to flatten more quickly, not good for champagne or sparkly water aficionado’s,” said Gustaf Hagström, Bluewater Nordic sales manager. Other benefits of the Bluewater Pro include its compact size, world-leading clean water delivery rate, substantially reduced water wastage common to other RO water purifiers, and ease of installation and maintenance. “For restaurant managers where purified water is a benefit or requirement, Bluewater Pro water purifiers delivers perfect cleaning results, maximum efficiency and hygiene, and easy operation. 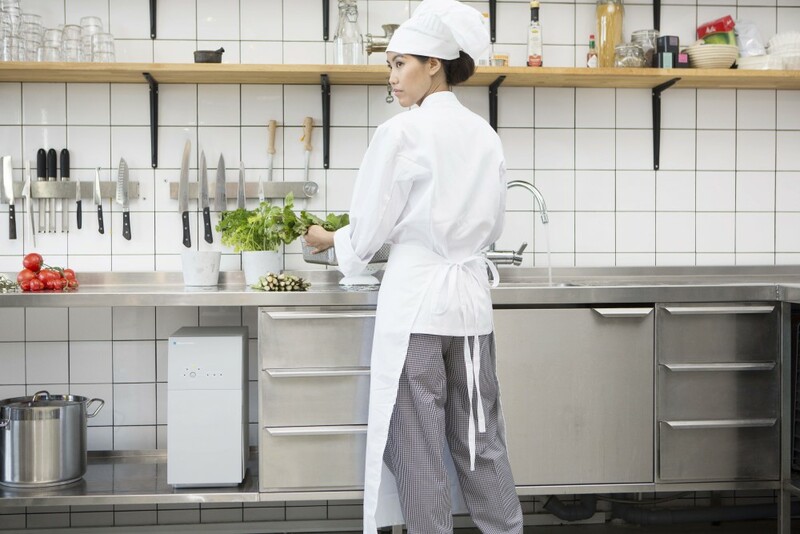 The Bluewater Pro 400 water purifier is the surefire go-to solution for the hotel and restaurant trade,” said Gustaf Hagström.